I wanted to share a special thank you to all my practice building subscribers, Im gifting you 50% off of my most popular audio programs until Sunday, July 10th! Which ones do you want to pick-up? Learn the secret strategies of how to quickly establish your expertise and create more income, while being in alignment with your work as a healer and helper? Learn the latest information, trends, and research on clinical interventions, and revitalize your practice with new creative tools and directives to support your clients growth? Learn specific tools and strategies from practice building experts to shift your practice from overwhelm and struggle to creating a profitable practice while being of great service to your clients? Learn how to authentically build your list and add more income to your business, and be handed all the scripts and templates to launch your business online in a big way? Learn how to stop giving your time and money to insurance companies and learn what to do instead, regardless of your relationship with managed care? Dont miss out on this **Time Limited** event and learn how your purchase gives back! Click here to see the catalogue page and choose your programs Now! 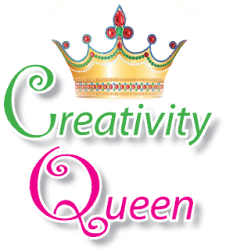 Enjoy the Creativity Queens Superfabulicious Summer Sale. Learn how to grow your business and help more people and save 50% off. Plus, for every purchase made $1.00 will go to help teach people across the globe how to use the arts for empowerment and income generation!!? ?So amazing!! Please pass this on to your colleagues, so they can celebrate too!! Next Post: Are you raising a codependent child?